My friend Adam Silk trains competitive runners and MMA fighters. When i meet these awesome people, he’ll say “this is Kiki, she is an elite athlete.” Of course I am not exactly an elite athlete but my dedication to health, wellness, yoga and fitness and my background in dance and at one time competitive running do suggest more than 30 years of intense discipline. For the last year I’ve cycled up to 25 miles a day as a commuter in NYC. In the face of Hurricane Sandy, I only took 5 days off from my active commuting. Feeling incredible muscle fatigue and dehydration, it occurred to me i should research sports nutrition and top quality elite athlete supports. Hammer Nutrition offers vegan, vegetarian, sugar free, gluten free and nearly 100 percent organic super foods that are created for the world’s top athletes who are committed wellness to win their medals. 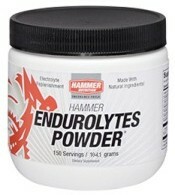 Daily, I take Hammer electrolytes called Endurolytes Powder. And I love their recovery bars which I chomp within 30 minutes of completing my most intense output when I wont be able to eat a meal within that window. 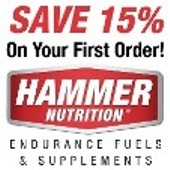 So here’s 15% off your first order from Hammer. Simply use the links below. Please share this page with family and friends. Thank you in advance – when you use my links, you support this blog and my Youtube channel. And when you take care of your health naturally, you support your dreams. If these links don’t work on your mobile device please use your desktop.